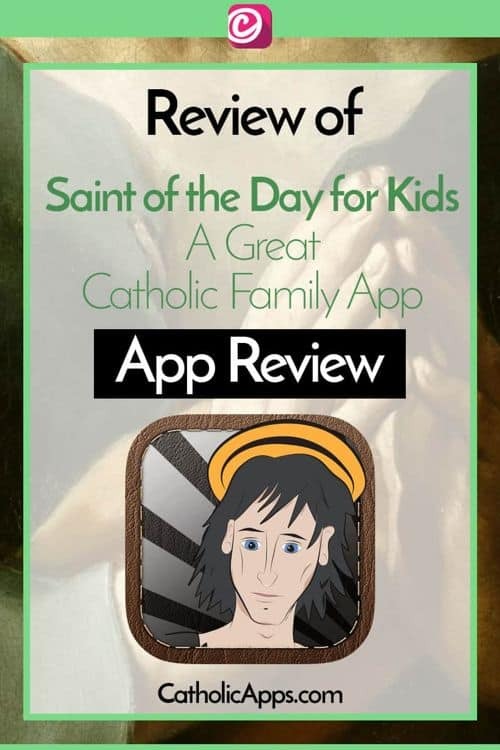 CatholicApps.com Reviews the Saint of the Day for Kids App. 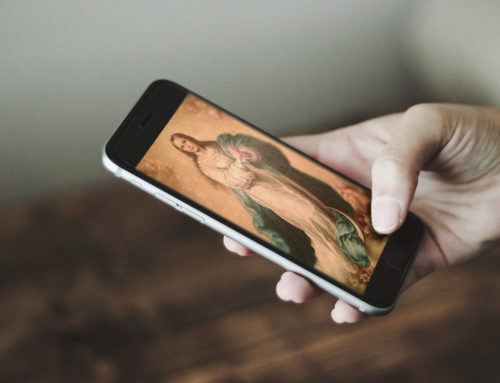 It’s a great family app, that gives you depth into the lives of Saints. The descriptions are really easy to understand and it is well worth it for a paid app. This app was written and designed with kids and families in mind! The brief biographies of each saint are written for little ears. The artwork is simple and easily printed for coloring with children. The app also has a “Favorite” feature so you can save Saints that really stand out to you. 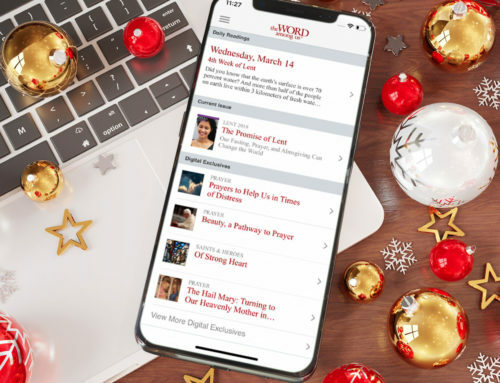 You can also use the “Random” button to discover brand new saints; and by using the Calendar button, you can find out what Saints share special days in your life. There’s not much to be disappointed by in this app. It does what it says it does, and does it well. 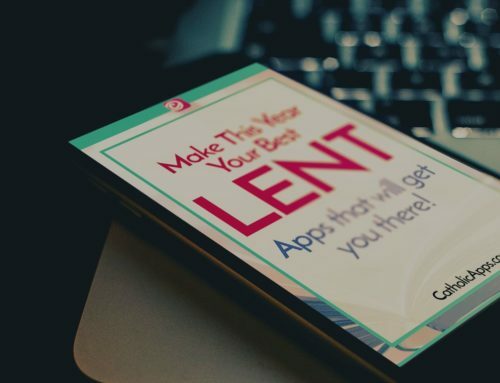 If one wanted to be extremely picky, you could “fault” the app for not following the liturgical calendar 100%. However, after speaking with the devs, that decision was made because some saints didn’t have enough information and sometimes 2 saints would share the same day and the devs wanted to include both – works for me! Truthfully though, the biggest con is the more people don’t know about it! 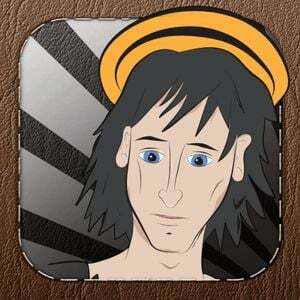 Share it with friends, and the developers encourage the saint images to be shared in schools, and at home. It’s great when an app has a specific purpose in mind and executes that task well. 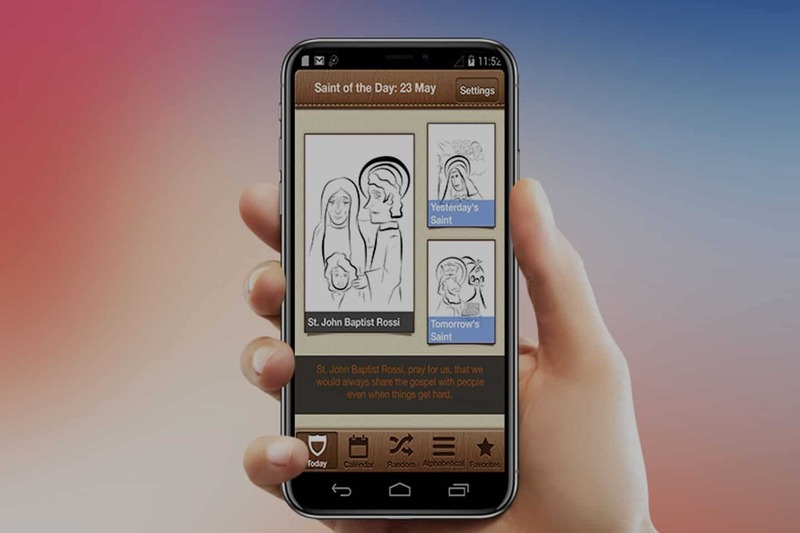 From the illustrations to the kid friendly writing, this app stands out to bring families together to learn about our heavenly family. The developers have continued to update the app for new OS’s that have come since the initial release. The 365 Saints that were included in the release are still there, but you can also search through their names more easily, and find who you are looking for. 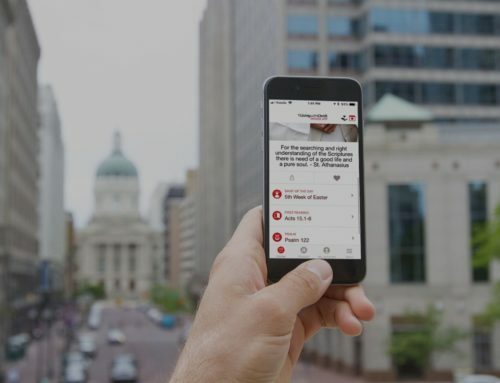 They have heard from many school teachers, catechism teachers, confirmation, first communion, and sacramental prep teachers that they use this app frequently. It has been reviewed on multiple sites and updates keep it working really well. 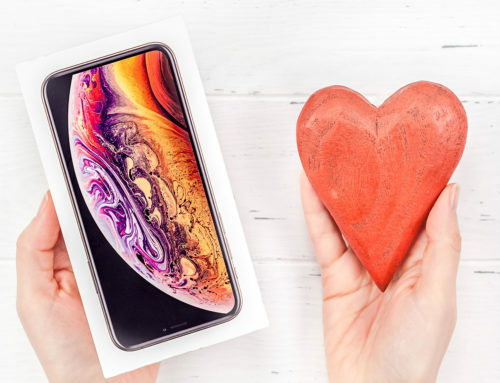 I am glad that I recommended this app a few years ago, but now knowing the effort that the group of developers put into the app years later, I am confident that they really hit the mark. Go get it now, this one is likely to stay in the store and stay up to date. yes, because they serve an AWESOME GOD !